All wood products featured in our extensive collections, as well as your custom designs, can be produced from one of our 12 standard wood species, such as Alder, American Cherry and Red and White Oak. Upon request, we can quote a variety of specialty woods species including Acacia, Red Elm, Tigerwood, and a variety of Birch. Don’t see a specialty wood you would like quoted? Contact our experts today to find the exact wood species to fit your requirements. Our manufacturing plant located in Ohio and nestled in Northern Appalachia grants us access to the best hard and softwoods from across the country. You can view the entire standard selection and examples of our specialty wood selection on pages 14-15 of our Catalog 3.0. 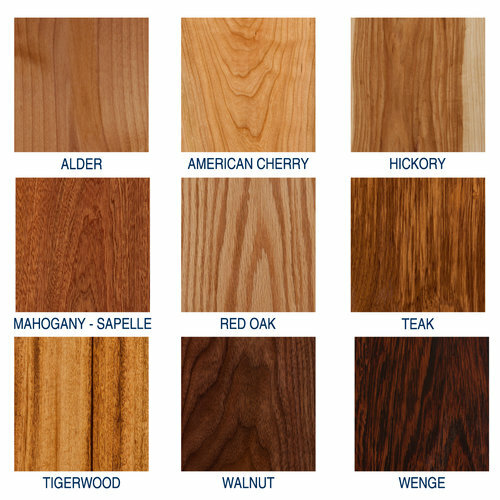 When selecting your wood species, note that all wood species are listed as “clear” unless otherwise stated in our Catalog 3.0. All Oak Pointe products come unfinished; however, turnings are available in Primed Flat White and Painted Gloss White. We also offer Character Grade (Knotty) and reclaimed options. Inquire today by contacting our Customer Service team!